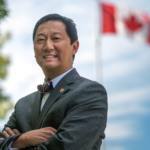 Professor Santa Ono became President and Vice-Chancellor of the University of British Columbia (UBC) on August 15, 2016. As a professor of medicine and biology, Professor Ono has worked at Harvard, Johns Hopkins, University College London, and Emory universities. In 2015 he was inducted by Johns Hopkins into its Society of Scholars, which honours former faculty who have gained distinction in their fields. As a university administrator, Ono is also known for his vision beyond the laboratory. He became president of the University of Cincinnati in 2012, having previously served as the University Provost and Senior Vice President for Academic Affairs. Prior to this he was Senior Vice Provost and Deputy to the Provost at Emory University. Ono was recently recognized by the American Council on Education with an award that honours individuals who have demonstrated leadership and commitment on a national level to the advancement of racial and ethnic minorities in higher education. Inside Higher Education named him America's most notable university president in 2015. The University of British Columbia (UBC) is a global centre for research and teaching, consistently ranked among the 40 best universities in the world. Founded in 1915 it now educates 62,923 total students – 14,434 of which are international students from 162 countries – and employs 15,660 faculty and staff. Its alumni number over 318,000 in 150 countries. In 2016/17, 199 companies were spun off from UBC research, 1,326 research projects were conducted with industry partners, and 1,172 research contracts and agreements were entered into with government and non-profits. TheFutureEconomy.ca: What are Canada’s most critical business challenges today and why? Professor Santa Ono: Canada has very strong universities from which new ideas for businesses arise but the biggest challenge is scaling up those companies to more than 1,000 employees. The challenge really centres on high tech start-up companies and much of it focuses on access to capital, but some of it has to do with the density of serial entrepreneurs that exist within our ecosystem to help advise those start-ups to scale up to a larger company. In terms of opportunities, Canada is incredibly well positioned with respect to artificial intelligence, cleantech, mixed and virtual reality, regenerative medicine and data science. We have our challenges – in terms of human capital, serial entrepreneurs and sufficient resources to support the scaling up of these companies – but in terms of intellectual human capital if you will, and R&D coming from our universities, Canada is uniquely positioned to really be world class. How are Canadian universities addressing those challenges and opportunities, and what more can governments do to support them? Universities of the size and scope of the University of British Columbia (UBC), University of Toronto and McGill University may have more resources than some of the smaller universities in terms of their ability to address some of these challenges. For example, at UBC we have the wherewithal to address the relative deficit of serial entrepreneurs. As an institution we know that is a gap in the pipeline of technology transfer and commercialization, we have therefore been hiring several of them. A larger infrastructure exists in American universities. Regardless of what level university you are talking about, they have very large technology transfer offices with large teams and budgets for patenting intellectual property. Canadian universities at every level cannot compare, and part of it has to do with how that is resourced. In the United States, the support for basic and fundamental research is accompanied by about 70 cents per dollar of indirect cost of recovery support. We call it the full cost of research here. In Canada, we would get about 15 to 20 cents per dollar, and to be able to really capitalize on our intellectual property we need to fund the support services to effectively support entrepreneurs and technology transfer with respect to intellectual property, but also by providing guidance to university faculty members in terms of what it takes to start up companies. So we just do not have the financial resources to do that in Canada because we are not getting that budgetary allocation from the federal or provincial governments. I think if we are able to address that funding gap, then Canadian universities can be much more effective in technology transfer, commercialization and entrepreneurship. I must congratulate the current federal government for holding the national competition for research superclusters. Just having this competition has really brought people together across the country and certainly in British Columbia. I think it was a brilliant idea and I think that more of this kind of networking and the honest, strategic conversations it spurred, is really pivotal for the future. What do you see as some of BC and Canada’s most promising areas of research today? There are many strengths beyond UBC but cleantech is certainly an area we are actively engaged in, as is the field of regenerative medicine. I am very excited about the fact that several centres across Canada are collaborating in these areas. UBC has been involved in at least a dozen letters of intent, so it gives you an idea of the breadth of involvement we have across sectors such as health, data science, cleantech, aviation and advanced manufacturing to name just a few. The areas that we’re particularly strong in as a nation would be artificial intelligence, virtual and mixed reality, and video game development. I would also add sustainability since UBC is widely acknowledged to be one of the two or three world centers in terms of biodiversity, sustainability and climate change research. The cleantech sector has been identified by many as one that should become a significant segment of Canada’s economy. What can academia do to support entrepreneurs in this and other promising fields? I completely agree with the emphasis put on cleantech’s importance for Canada’s future. We held a mini summit in downtown Vancouver – I participated as did a number of individuals involved in cleantech start-up companies, as well as some more mature companies – and there is absolute consensus that this is an opportunity not only for British Columbia but also for Canada. This is especially relevant with the geopolitical changes we’re seeing, specifically with respect to the United States. We believe that this is Canada’s moment and we believe that coming together and taking an honest look at some of the challenges that we have discussed above will be essential to ensure that we can capitalize on that moment. One of the most important steps we can take is to minimize the distance between students, faculty and staff on campus, and industry outside the walls – and that requires collision spaces. We are currently planning an expansion of those collision spaces in downtown Vancouver and we are likely to have 2 or 3 at UBC on the Point Grey campus. There are collision spaces in Kelowna and it is very likely that we will be a key part of collision spaces that are associated with our academic health centre that involves multiple health authorities. Creating spaces where faculty and students are rubbing shoulders with industry, scientist and entrepreneurs will be a key focus and priority for us moving forward. What needs will tomorrow’s higher education institutions have to meet to prepare graduates for a world that will be more globalized, more sustainable and more digital? There clearly is enhanced global competition and one of my biggest priorities, and that of the deans and the provost of UBC, is to ensure that we have world-class talent. So we are in the midst of recruiting the very best and brightest faculty we can find anywhere in the world and we are working to attract them here and to support them. In terms of preparing students to function in a global economy, student mobility, faculty collaboration and strategic collaborations with institutions is the focus. So we are doing everything we can to increase the numbers of students that are actually doing research activities around the globe, spending some time off campus to build those connections, and we are in a very careful strategic way identifying the best global partners for interactions. Most recently, we signed a trilateral agreement in the area of quantum physics and quantum computing with the University of Tokyo and the Max Planck Institute. That three-way collaboration really constitutes a world center for that area of research. It will be the foundation for a different level of computing – a data science that is currently not possible. We are thinking about what our capacities are, what our intellectual assets are and how we should partner to really strengthen them and to plug into the right global networks.